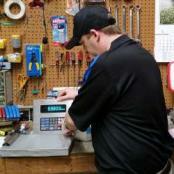 Welcome to the industrial scale repair service center for Asheboro, North Carolina. Central Carolina Scale repairs and services a wide variety of manufacturers products and is the ideal choice for scale repair service in the triad. Central Carolina Scale services and repairs Rice Lake 920i scale controllers, Intercomp axle scales, A&D counting scales, CAS price computing scales, Avery Weigh-Tronix bench scales, Pennsylvania 7600 counting scales, Salter Brecknell DCSB floor scales, and Doran 8000xl stainless steel bench scales. Our concentrated presence in the state of North Carolina and our huge stock of spare parts and load cells allows us to provide highly competitive pricing. 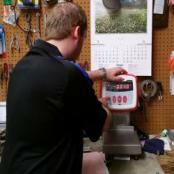 Local Scale Repair - Burlington, NCScale Repairs for Burlington, Graham, Mebane and surrounding areas is what we specialize in. 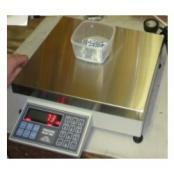 If your Digital Scale breaks we can repair it. 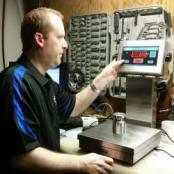 When your scale needs testing & calibration, give us a call today. 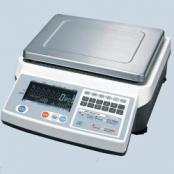 A&D Weighing FC-i Series Counting ScalesThe FCi Series counting scales utilize ACAI, A&D's exclusive Automatic Count Accuracy Improvement. 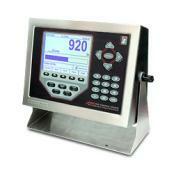 ACAI combines the two most critical performance requirements of a counting scale: count accuracy & operation efficiency. Internal resolution of one part per five million is available with the FC-Si. 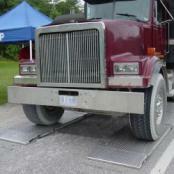 Intercomp AX900 Axle Scale SystemsAX900 series provides weigh bridges in a variety of lengths, capacities & configurations to weigh anything from single to multi-axle vehicles. Used by trucking companies, militaries, scrap yards, waste transfer stations & other transport businesses for dependable gathering of axle, group and gross vehicle weight.